There are many golf courses in the world where the experience is enhanced by the beauty of the surrounding area. Kingsbarns is a great golf course but, without the spectacular setting on the water, would it be quite as special? Lofoten Links is high on my bucket list, carved into the northern Norwegian rocks. 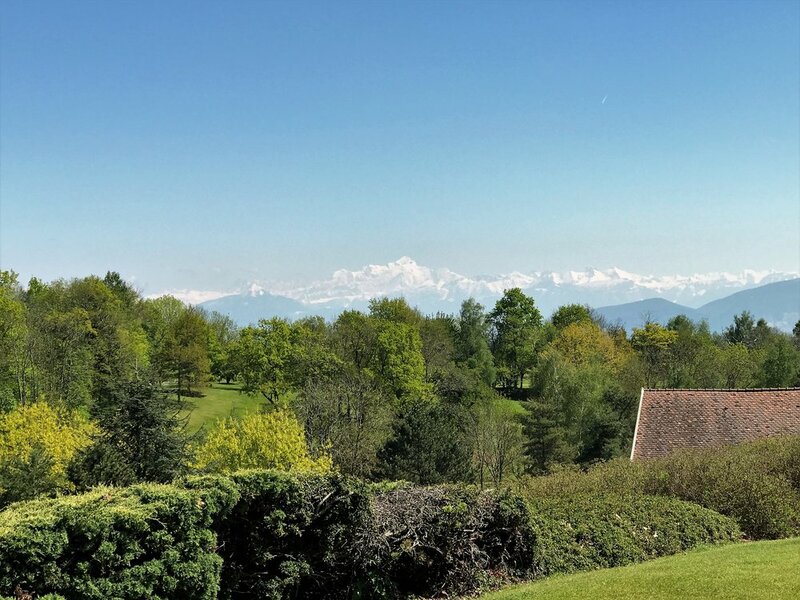 Well, Maison Blanche won’t set the pulse racing quite at those speeds but the setting at the foot of the Jura hills, with views of Mont Blanc in the distance, is something which definitely increases your enjoyment of this Peter Harradine layout. The course is in France but the club draws on nearby Geneva for much of its membership and it is very much a members’ club. It has a pleasant restaurant and bar with a lovely terrace where you can watch those brave enough to tee off from the back tees hit drives just a few feet away from you, Merion-style. The walk from the clubhouse to the driving range and first tee takes you down a steep hill and get set for plenty of this to come. Elevation changes play quite a big part in your round here and there are one or two walks between holes which can be a killer on a hot day. The long walks up hill between 9 and 10 and then 12 and 13 will be the test for the fittest. There is a functional driving range by the first tee - trying to thread the ball between the rugby posts is a nice challenge - and from there it’s a choice to be made. Turn right for the 9 hole Allondon course for a warm up, or left to the main parcours. There is a nice mix of open driving holes and tighter ones on the course and the first is a relatively long dog leg right with out of bounds on the right and trees and heavy rough to the left. It would be fair to say that the front nine is probably the tighter of the two as, from the fourth on, you are basically playing in a forest. After the first there’s no real need to hit driver again until the 10th hole if you are trying to play regulation golf. Rather accuracy is rewarded. There is a risk on some holes of trees around the tee encroaching too much, but regular course maintenance can easily address that. The back nine opens up a little, but there is more water in play - at 11, 15 and 18. There is a really good variety on length of holes - the par 3s stretch from 130 yards to 200+. Similarly the par 4s will have you reaching for a good spread of the clubs in your bag. Not content with demanding accuracy from the tee, the course also asks questions with approach shots. There is often trouble short, including water and punishing bunkers. However the greens are generally pretty straightforward when you get there with little too concerning in the way of undulation. This is a course which can lie under snow for weeks at a time is and closed for some months over winter depending on the harshness of the season. That is a challenge for all courses in the area but it feels like Manson Blanche suffers more than most in getting back into really top condition. Nearby Domaine Imperial and Golf Club de Geneve seem to recover faster and, at times, Maison Blanche can be a little ragged around the edges. However, this is a good quality members' club. It will never be mentioned in the same breath as the best courses in Europe - it is probably a little too compact and the conditioning not quite good enough. But if you are looking for a pleasant knock when in the Geneva area you could do worse than Maison Blanche. This isn’t a place where you will see busloads of visitors skipping onto the first tee. They don’t really court that and the unaccompanied visitors green fee of 80 Euros may put some off, but it's not the worst value in golf. You can play on weekdays and book by calling up the club or sending an email. Do remember to take your handicap certificate. I've teed it up at the Old Course and Shinnecock Hills without showing a handicap certificate but woe-betide you if you try that here! 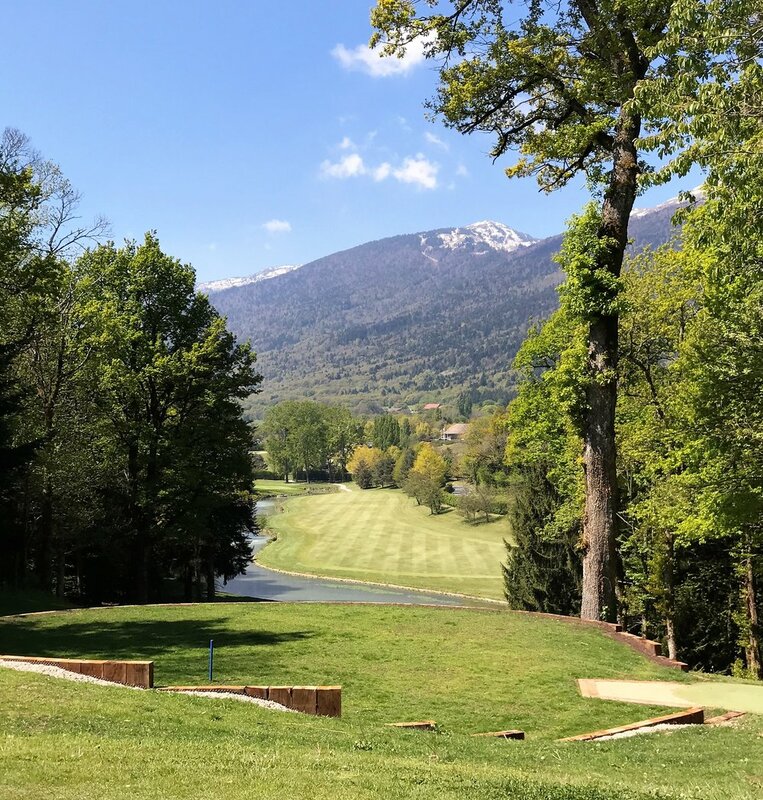 Switzerland probably isn’t the first place you would think of when planning a golf break but it’s only 2 hours from London and Geneva is a real delight. You can eat well, drink well and take in the ambience of the world-famous lake. Another factor to consider is that from late spring, well into Autumn, the weather is often spectacularly good. Summers are properly hot with sometimes weeks of unbroken sunshine. 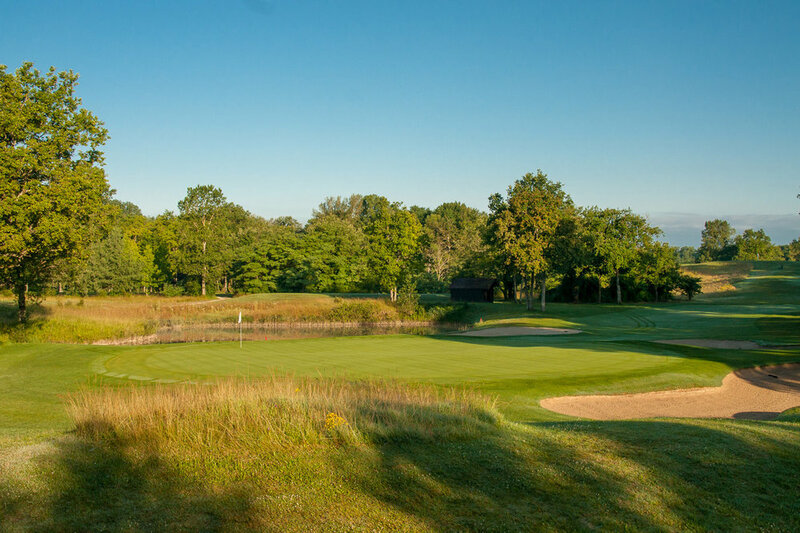 Golf-wise you could try Switzerland’s alleged number 1 course, Domaine Imperial, as well as nearby Golf Club de Geneve which regularly hosts an event on the Challenge Tour and is known in the area as being the best conditioned course around. However, it’s also perfectly feasible to spend a couple of days here before heading around the lake to the spectacular Crans Montana which is possible the most spectacular setting for a golf course in Europe. Although be warned, the golf may not quite live up the the views.